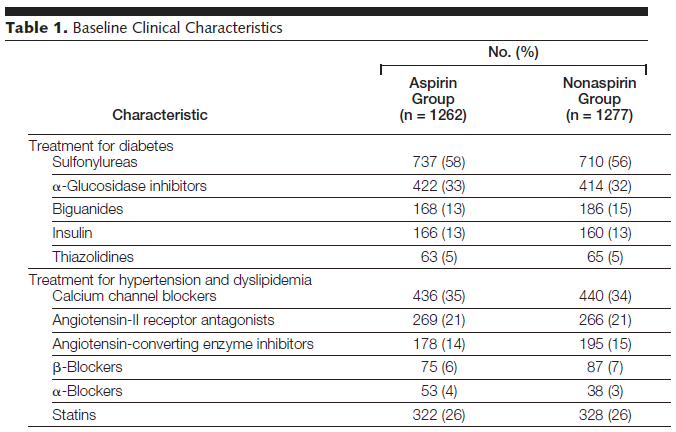 The Japanese Primary Prevention of Atherosclerosis With Aspirin for Diabetes ( JPAD) trial. The randomization was performed as nonstratified randomization from a random number table. 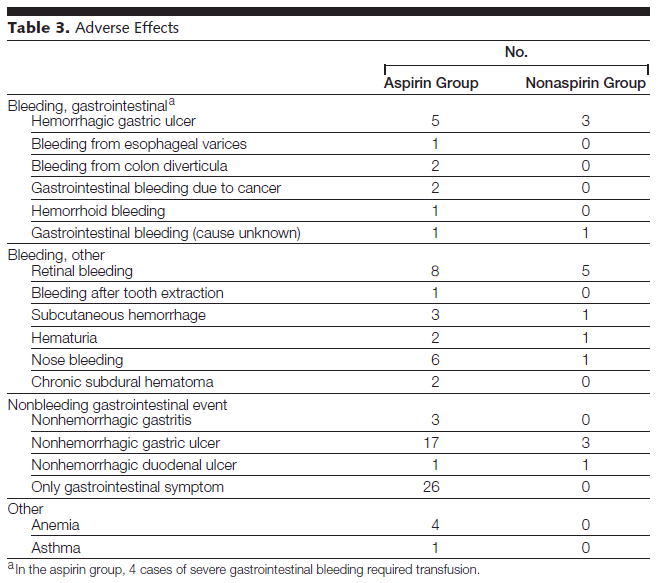 All potential primary end points, secondary end points, and adverse events were adjudicated by an independent committee on validation of data and events that was unaware of the group assignments. The study center prepared the sealed envelopes with random assignments and distributed them by mail to the physicians in charge at the study sites. The incidence of cardiovascular death, myocardial infarction, and cerebrovascular events were 7.5, 7.5, and 8.0 events per 1000 Japanese diabetic patients per year, respectively. 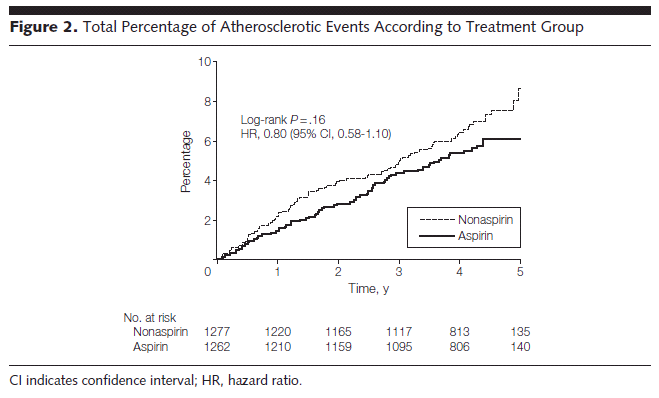 Based on a 2-sided level of .05, a power of 0.95, an enrollment period of 2 years, and a follow-up period of 3 years after the last enrollment, we estimated that 2450 patients would need to be enrolled to detect a 30% relative risk reduction for an occurrence of atherosclerotic disease by aspirin. ハザード比は 0.80（95% CI： 0.58～1.10, p＝0.16） 。also see above Figure 2.